The Melania Trump plagiarism scandal that is the bright shiny object for the media is in its third day of the RNC Convention, which demonstrates that Team Trump does not know what the hell it is doing. Trump Campaign’s Shifting Story on Speech Raises New Questions. 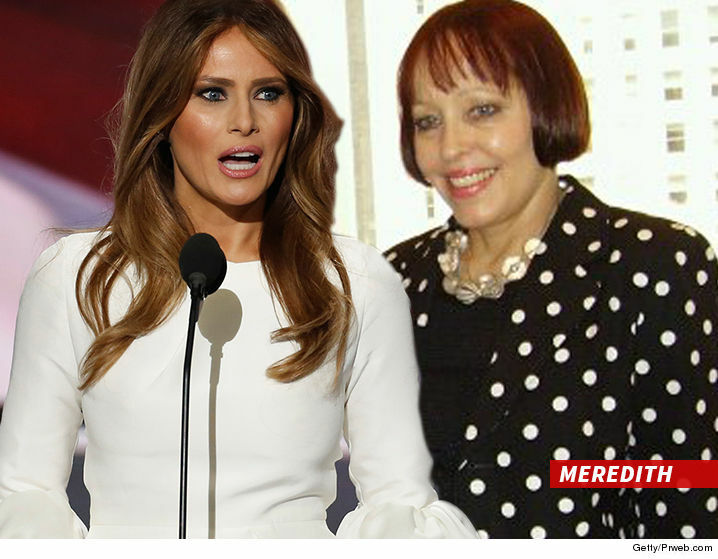 Melania Trump’s speechwriter is stepping forward to take the blame for plagiarizing Michelle Obama’s 2008 speech. 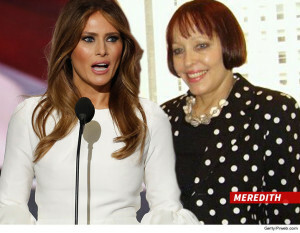 As we first reported on Tuesday’s “TMZ Live” … Melania likes the First Lady and had watched some of her speeches for inspiration prior to her own speech in Cleveland. McIver has been a co-author on several of Donald Trump’s books. She says she attempted to resign on Tuesday, but Donald told her people make “innocent mistakes” and said she could learn and grow from the experience. Wait, where’s Trump’s tag line from The Apprentice: “You’re fired!” Oh that’s right, IOKIYAR. UPDATE: And one scandal leads to another potential scandal. Team Trump Released A Letter To Try To End Its Plagiarism Scandal. It May Backfire. In a statement released on Wednesday, a staff writer for Donald Trump’s corporation took responsibility for the portions of Monday’s speech by Melania Trump that were lifted from a speech by Michelle Obama in 2008. The statement was printed not on campaign letterhead, but on Trump Organization letterhead. In it, Meredith McIver identified herself not as a campaign staffer, but as “an in-house staff writer at the Trump Organization.” She notes that she offered her resignation “to Mr. Trump and the Trump family,” but makes no mention of offering to resign from the Trump campaign.